Overgrowth takes place in the savage world of Lugaru where rabbits, wolves and other animals are forced to use paws, claws and medieval weaponry to engage each other in battle. Combining 3rd person adventure platforming with intricate melee combat, Overgrowth achieves a unique feel. 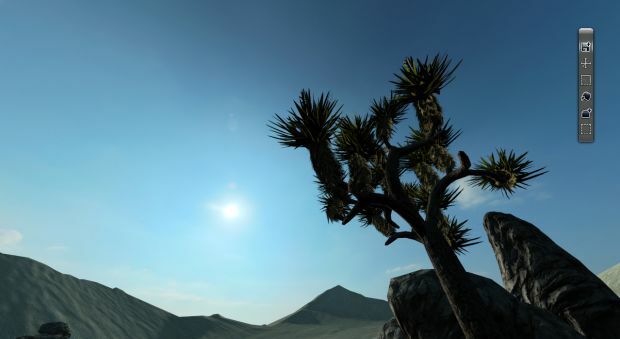 Overgrowth also benefits from Wolfire's brand new Phoenix Engine which has been built from the ground up to allow the use of cutting edge graphics, animation, and physics. Add to these exciting features Overgrowth’s realistic artificial intelligence and streamlined control system and the result is an astoundingly immersive experience. An amazing Joshua tree model made by Aubrey! David's plant rendering shaders are not good enough yet to do it justice though, but they will be.